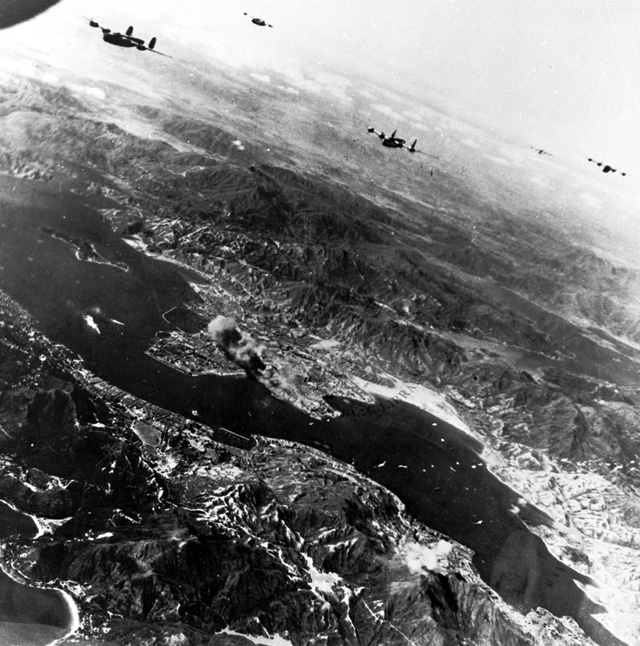 In 1941, the Japanese Army attacked and invaded Hong Kong. Kowloon Peninsula was soon captured. During the Japanese occupation, in order to expand the Kai Tak Airport, the Japanese army demolished many villages in Kowloon City and Wong Tai Sin, including Po Kong Village, Sha Tei Wai, Ma Tau Chung, Kau Pui Shek, Kak Hang, Sha Po Tsuen and part of Tai Hom Village. They later built clusters of squatter huts along present-day Junction Road to resettle the villagers. 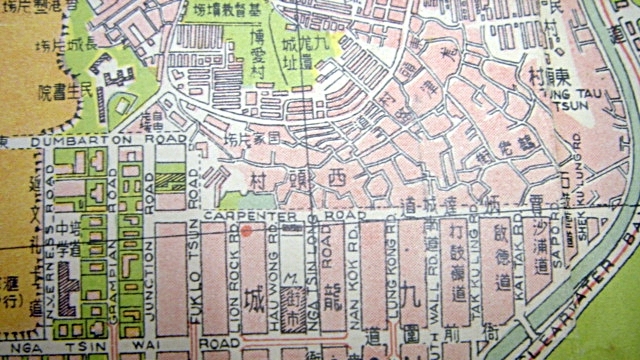 After WWII, there was an influx of refugees fleeing from the civil war in Mainland China, settling in the area along Junction Road. 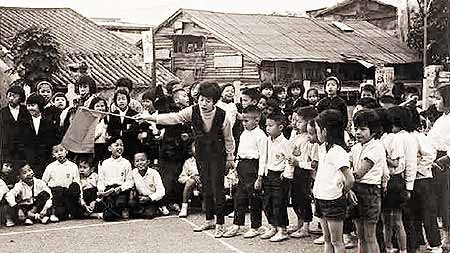 It therefore became a squatter area, later known as the Hau Wong Temple New Village, Lai Chi Yuen and Ho Ka Yuen, most of the squatter dwellings were constructed with materials such as corrugated metal and timber. A row of five traditional Chinese vernacular houses were built in 1945 and 1949 at the nowaday Stone Houses Family Garden. 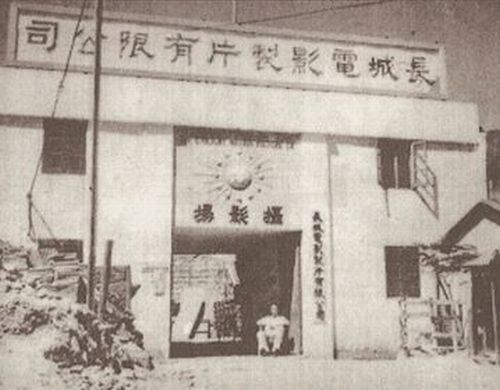 In the 1950s, several film studios namely Great Wall Movie Enterprise Limited, Sai Kwong Film Studio, Yau Kiu Film Studio and Kwokar Film Studio operated in the area. 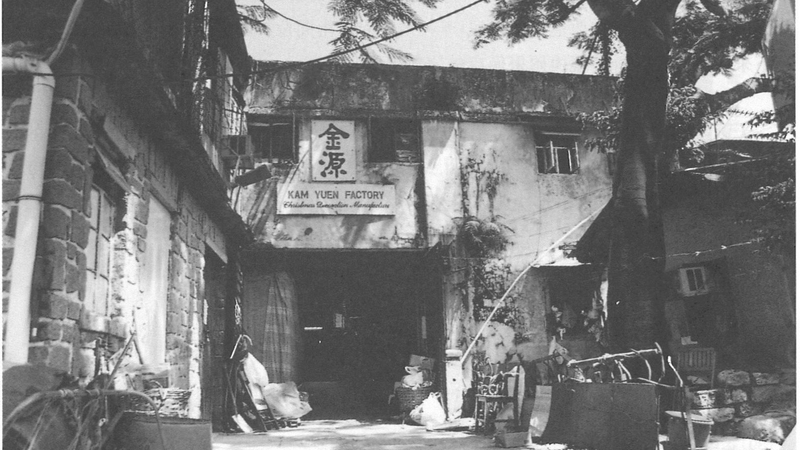 Famous actors, such as Connie Chan Po-chu, Josephine Siao Fong-fong and Fung Po-po, once worked in these film studios. Bit-role actors like Yam Yin, Li Kang Ching, Sing Fan, lived in the nearby Hau Wong Temple New Village. Dr. Lam Chi Fung, former president of Baptist Convention of Hong Kong and his church members, voluntarily built the squatter huts, namely Pok Oi Village (also called Canaan Place), in the surrounding area of Pak Hok Shan (currently the Hong Kong Chinese Christian Churches Union Chinese Christian Cemetery). 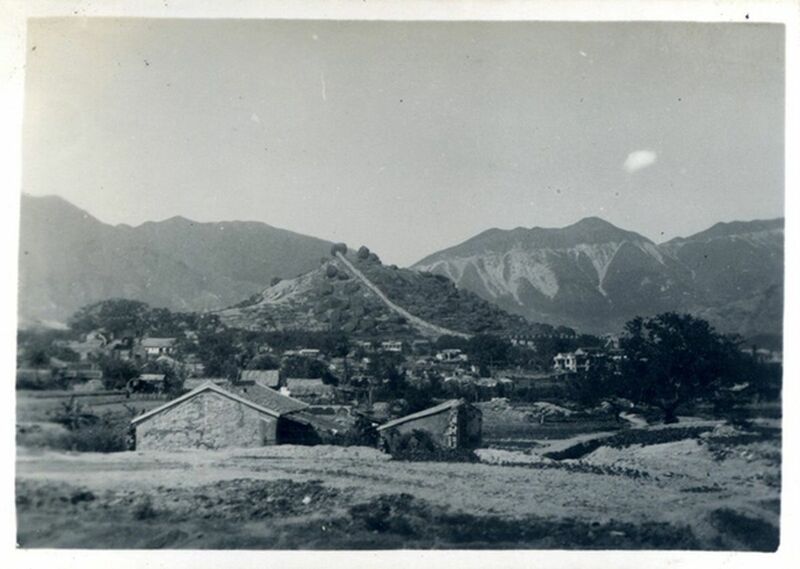 The Great Wall Movie Enterprise Limited moved out in the 1950s, and was subsequently replaced by several factories and industrial workshops, such as the Chiu Kam Metal-ware Factory, Wah Fa Electroplating Factory, Yu Yan Toothpaste and Soap Company etc. The Stone Houses was leased to Nam Yan Kee Grave and Tombstone Construction Company and Wing Shing Decoration Construction Company. The signboard showing the name Nam Yan Kee remains there intact to date. Going in line with the redevelopment of Kowloon City, Hau Wong Temple New Village was cleared in 2001, but the Stone Houses were the only structure remained, now known as the Stone Houses Family Garden. As one of the many measures to enhance heritage conservation, the Development Bureau of the HKSAR Government launched the “Revitalising Historic Buildings Through Partnership Scheme”. The Stone Houses, which are the only remains from this historic site, were included in Batch II of the Revitalising Scheme. 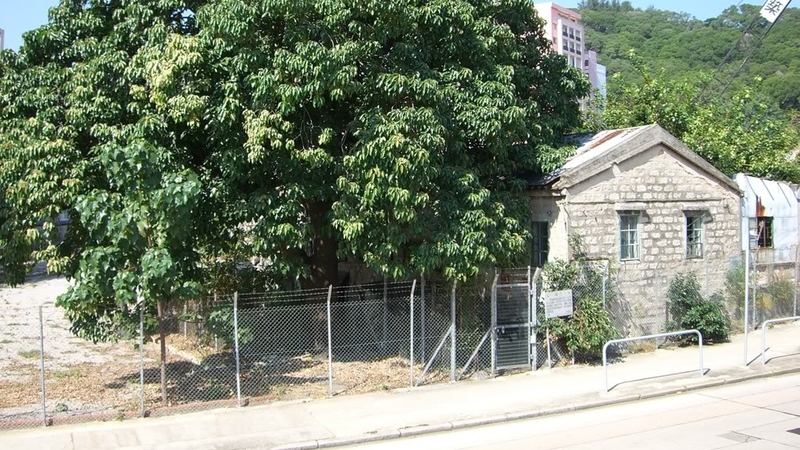 After rounds of proposal submission and interviews, Wing Kwong So-Care Company Limited was eventually selected by the Advisory Committee on Revitalisation of Historic Buildings, to carry out the revitalization of the Stone Houses into Stone Houses Family Garden. After revitalisation, the architectural features of the Stone Houses have been preserved with new life being given. Through the operation of a themed café, Visitor Center and Interpretation Centre, the Stone Houses are not only conserved but ready to serve the community. The Stone Houses were the residential units built after WWII. The architectural features of the urban squatter area in the 1940s-50s were retained. The residential structure reflected the lifestyle of the grassroots class back in the days in the postwar Hong Kong. Architecturally, the Stone Houses were considered as Chinese-styled building. Its interior structure was mainly timber-framed. The rafter and purlins together with the upper floor are also made of timber. The walls of the entire building, which are constructed of granite blocks, support the pitched roof built by timber battens resting on purlins and covered with Chinese pan-and-roll tiles. The main door to each living unit is in Chinese styled construction with timber panels, timber locks and granite sockets. Despite that the architecture of Stone Houses is humble and ordinary, we could get from it a glimpse of architectural style and construction commonly found in the 40s.